As wild flames engulf one of the most sacred places in France, onlookers desperately pray that the history and artifacts contained within the Notre Dame Cathedral may be spared. Being one of the quintessential icons of Paris, the Notre Dame Cathedral and its glory will likely be rebuilt after this devastating fire. But what may be lost from this tragedy remains to be seen. A lesser seen side of the Notre Dame Cathedral before the devastating fire that damaged it. Dark stories and legends suggesting the Cathedral may be haunted have circulated for a long time. 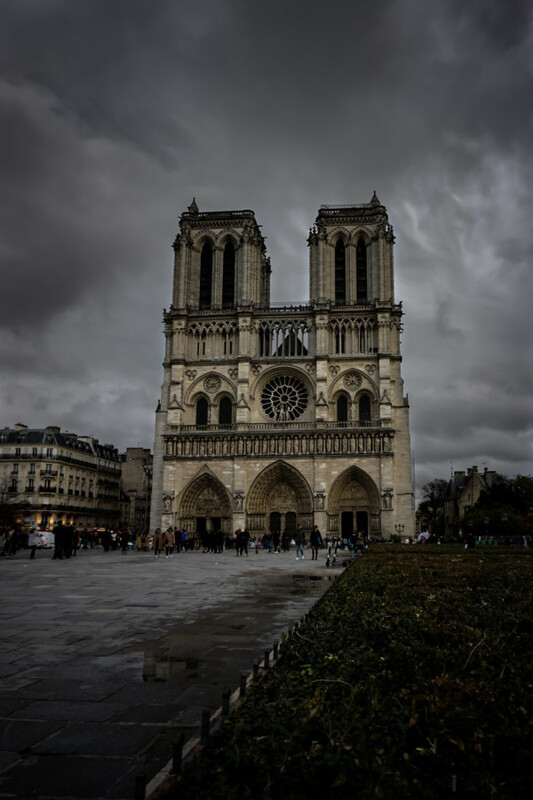 This leaves more questions to be asked and many to ponder what type of adverse effects this fire could have had on the spirits thought to dwell within Notre Dame. One of the most iconic places in Paris, before being burned, the Notre Dame Cathedral. 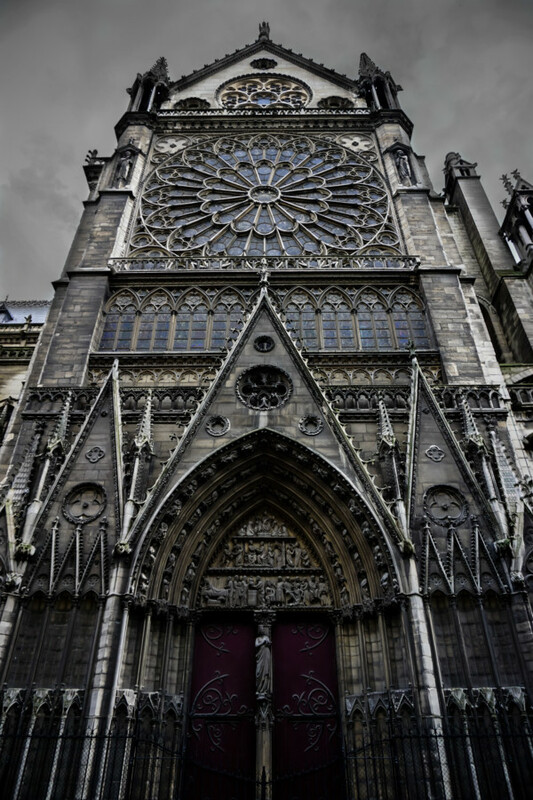 There are a number of ghost stories associated with the supposedly haunted Notre Dame Cathedral. Some say that there are many kings and holy historical figures who continue to walk the halls of the Cathedral long after death. This makes sense given the long history of the church (dating back to the 1300s) and many of the historical events and figures who passed through the cathedral. Some examples of such events include the crowning of Henry VI of England as King of France back in 1431, as well as Napoleon Bonaparte being crowned Emporer in 1804. 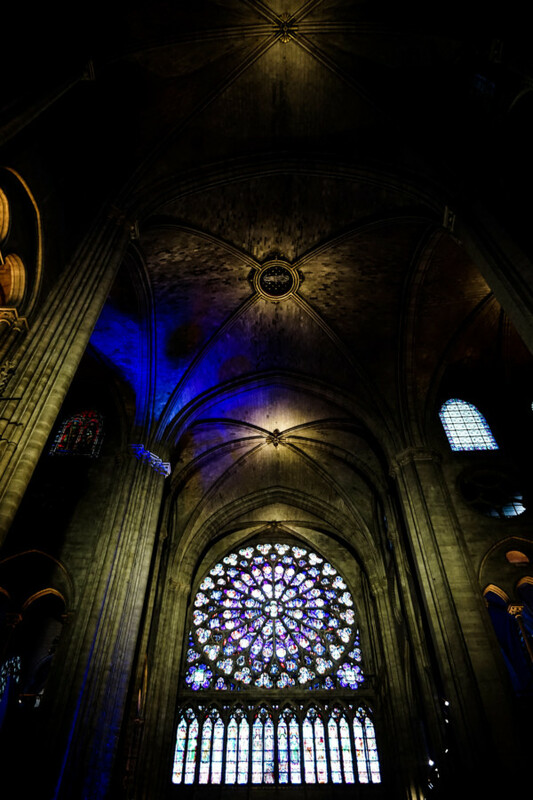 Inside the glorious Notre Dame Cathedral looking up at its stained glass rose windows. 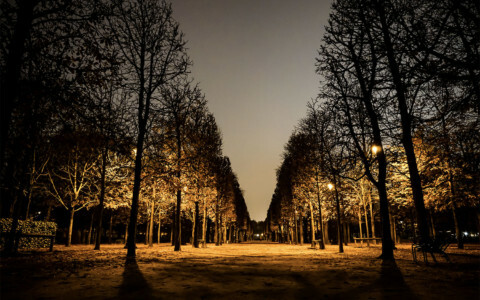 Thought to be one of the most haunted places in Paris. However, it is the ghosts of two unknown females who are the most frequently spoken of. Many people have claimed to sight one or two females walking across the roof of the Notre Dame Cathedral, weaving in and out amongst its gothic architecture and stone gargoyles before suddenly disappearing. 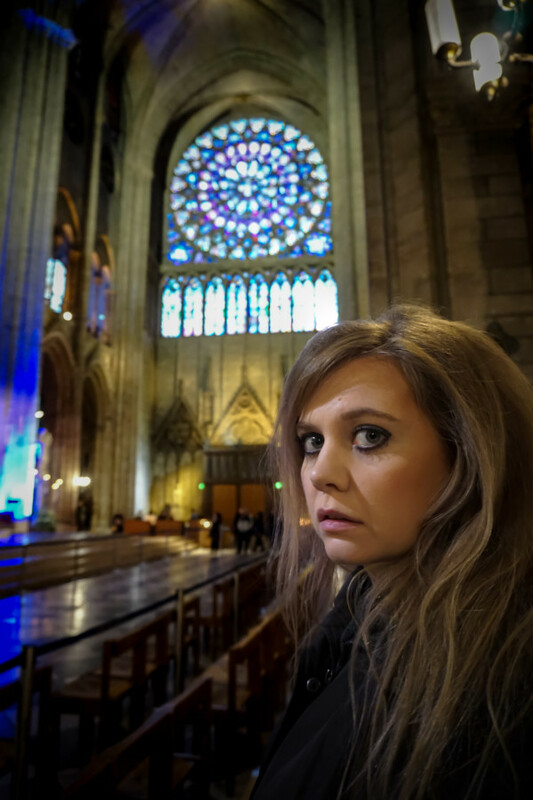 While no one really knows the origin of these mysterious women, there are rumors suggesting they may have committed suicide by jumping from the roof of the cathedral. 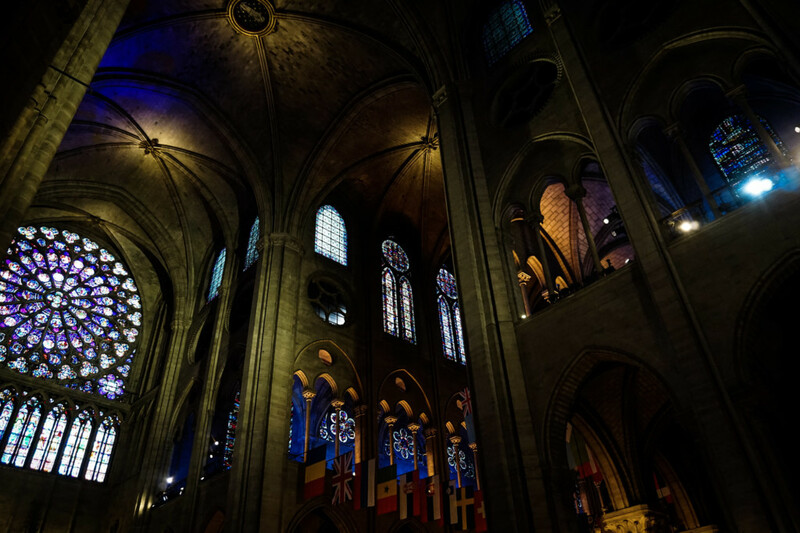 Inside the dark and supposedly haunted Notre Dame in Paris. 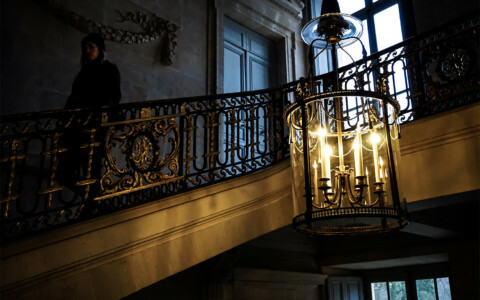 While stories of ghosts are prevalent in relation to Notre Dame, there is a far more sinister legend that also exists. This legend dates back to the Cathedral’s construction and has ties to the Devil. 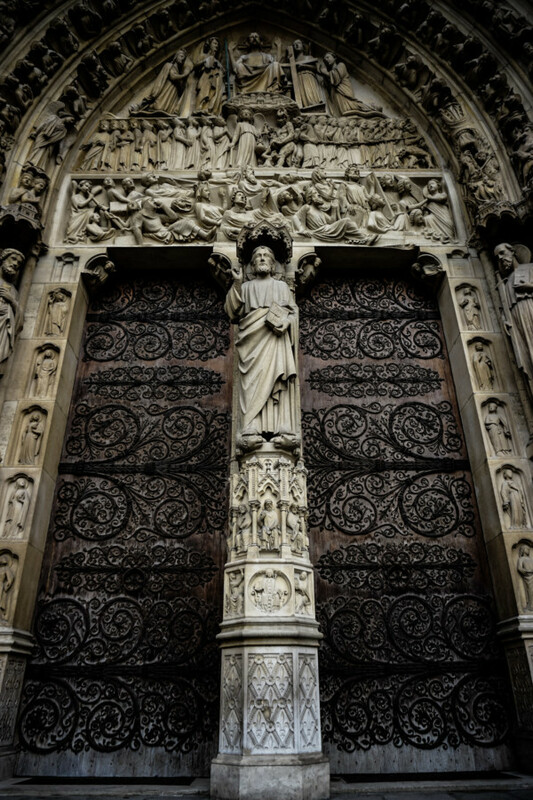 Legend has it that one of the best ironworkers in Paris during the 1300s was tasked with creating a magnificent door to lead into the entrance of the cathedral. Years passed and no matter how hard this man tried he could not put forward a design that was accepted by the church. 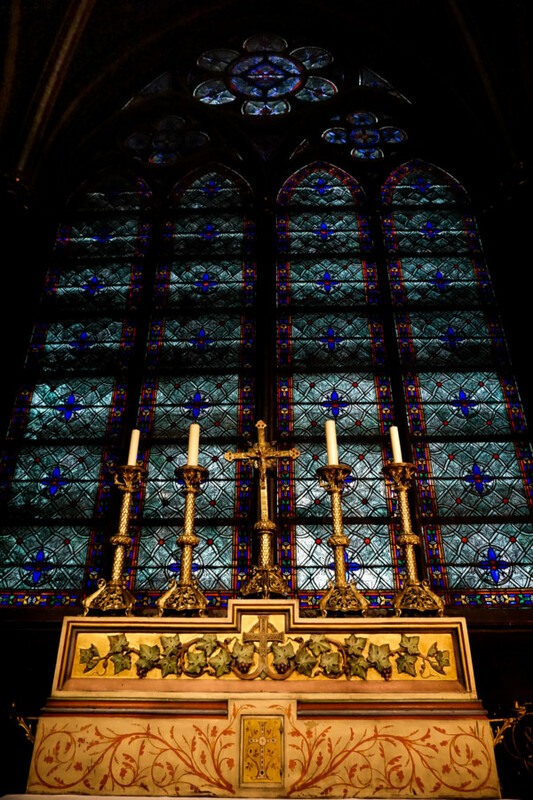 Altar within Paris most haunted cathedral. After many failed attempts to deliver a door worthy of the grand Notre Dame, this man resorted to prayer. When his prayers weren’t answered in a timely manner, he took a far more drastic approach and called on the Devil for help. Soon, it seemed as though his prayers had been answered as he put forward an elaborate design that pleased the church. 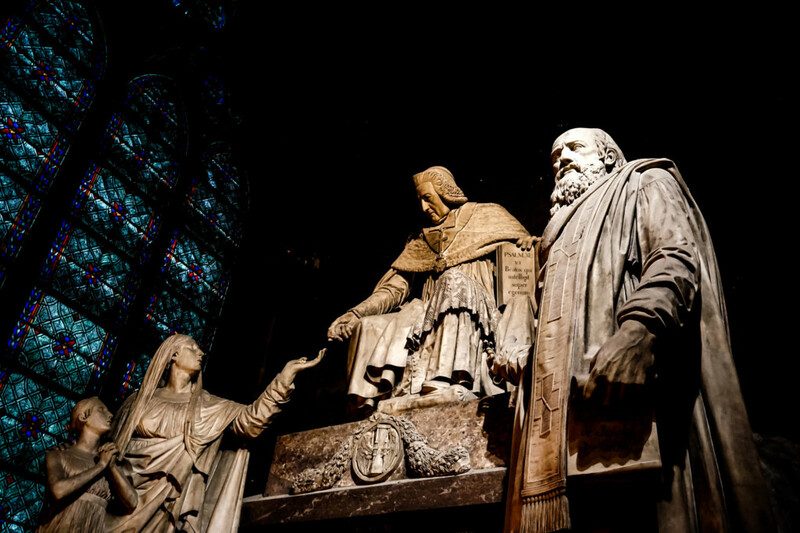 Just some of the many sculptures that exist within the Cathedral. Shortly after, the doors were created and then installed. They towered with a special type of magnificence, yet there was just one small problem. The doors could not be opened with any amount of force. When workers went to consult this ironworker about his doors, he was found dead inside of his apartment. He had hanged himself and left behind a letter suggesting the doors be doused in holy water. After the doors were doused, they pried open with ease. The front entrance door to the Notre Dame Cathedral, supposedly linked to the devil. Some people have claimed to sight the apparition of the ironworker, usually sitting in front of the doors he created after making a deal with the Devil. Others claim that a little homage to Satan appears hidden within the doors’ design. Close inspection of the irons swirls on the door reveals swirls similar to the number 666. 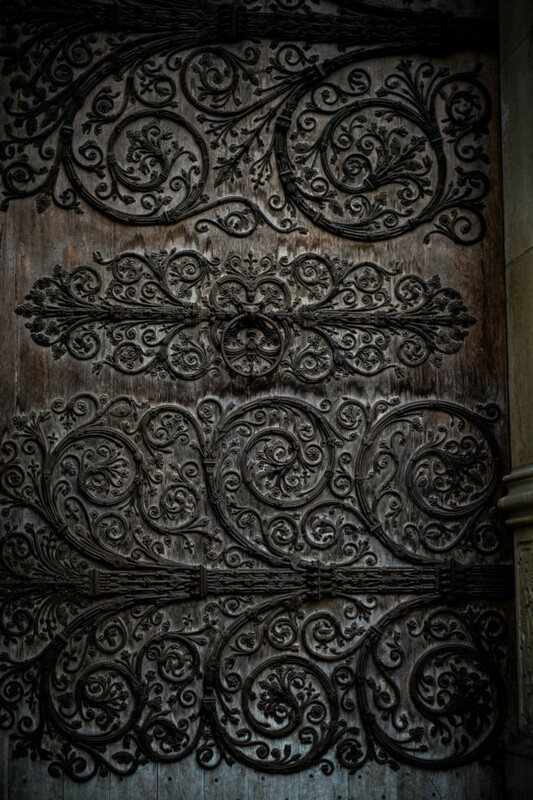 Intricate ironwork on the doors of the Cathedral. Can you spot the 666? Notre Dame has sat at 6 Parvis Notre-Dame – Pl. Jean-Paul II, 75004 Paris, France for many years. Since the devastating fire broke out and ruined much of the structure in 2019, its future remains uncertain. Due to extensive interior damage, the cathedral, which was once free to enter, will likely remain closed for some time. Candles lit inside the haunted cathedral. These photos were taken towards the end of 2018. 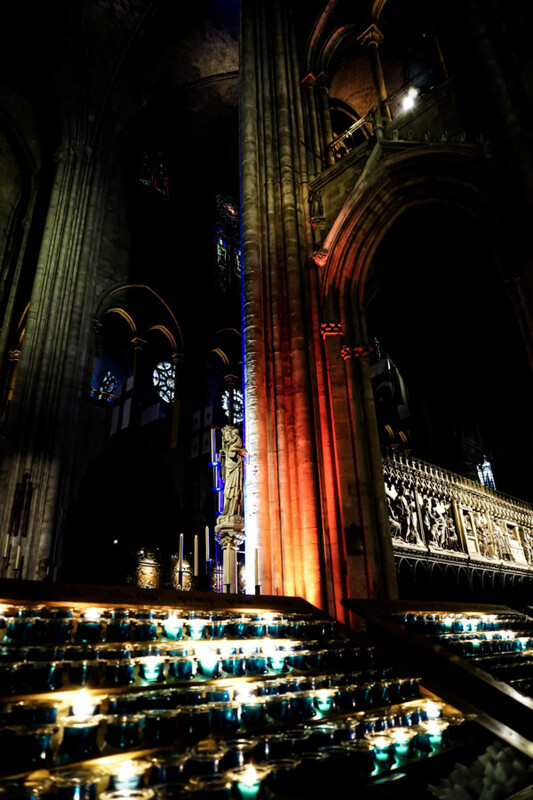 I hope they act as a reminder and tribute to the history, beauty, and faith that made Notre Dame a truly special place. Lucky to have visited this iconic location before it set on fire. 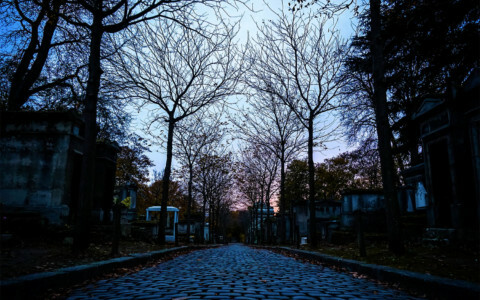 If you enjoyed this article you may also like to learn about other haunted places in Paris. Very sad news. Your photos are amazing, as always, and really shows the beauty of this place. It is a shame most of it is probably destroyed by the fire. It is devastating. You and I both are lucky to have been able to see its beauty. It will be interesting to see any restoration efforts they have planned after the fire. Thanks for reading Sonia. The fire at Notre Dame was very tragic. I hope you still get the chance to see it – I have heard that the front towers are relatively unharmed by the fire, but unfortunately, the inside may be closed to the public for some time. Thank you for reminding us the beauty & the history of Notre Dame Cathedral. The tragic event made a lot of us speechless & heartbroken to see it engulf in flames. Thanks for reading and leaving this comment, Emma! It was such a sad day and truly terrible to lose so much of the history contained within Notre Dame. Of course! How could I leave that one out haha. Thanks for reading.